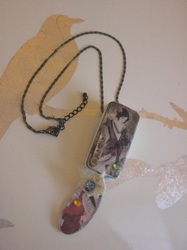 These are just a sample of the domino art jewelry I made. 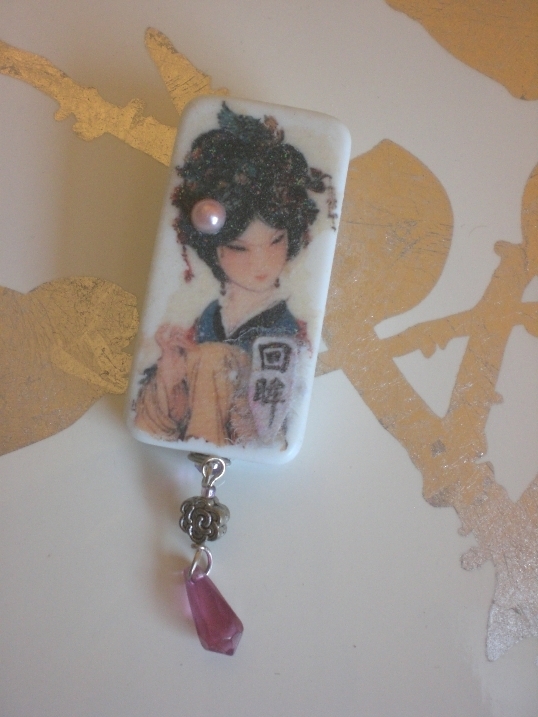 Some were stamped, and some involve image transfer of Chinese beauties by artist Hua sanchuan (see his art gallery). 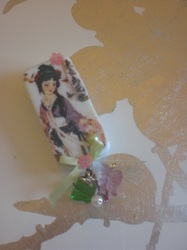 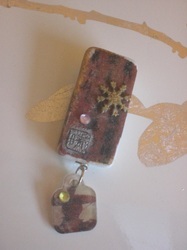 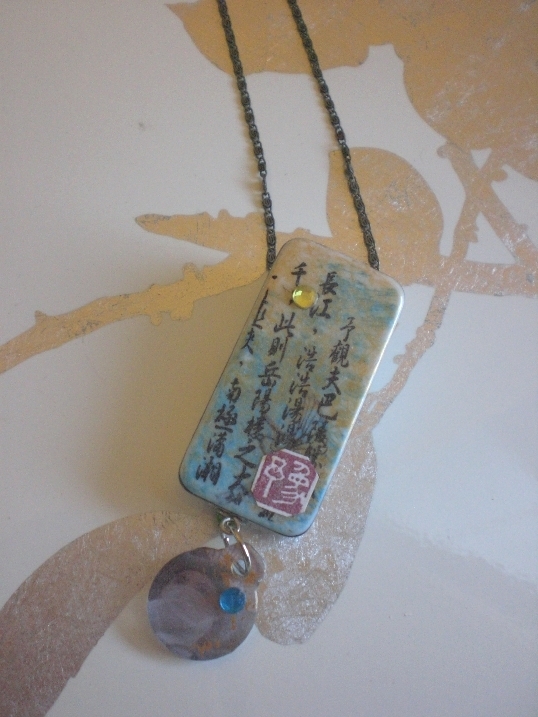 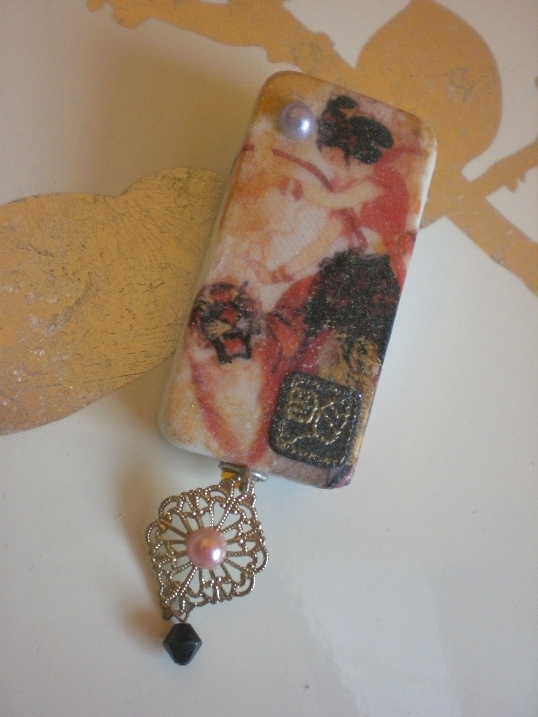 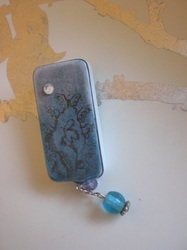 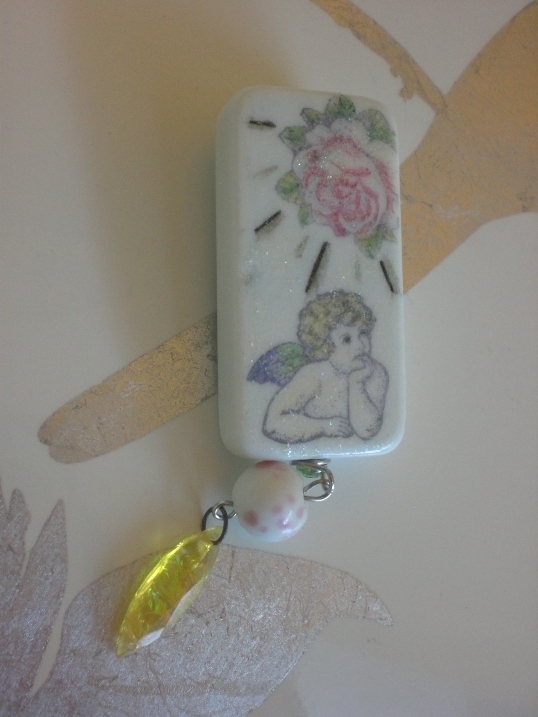 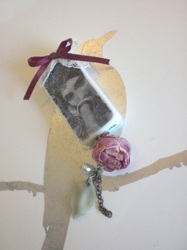 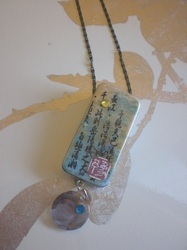 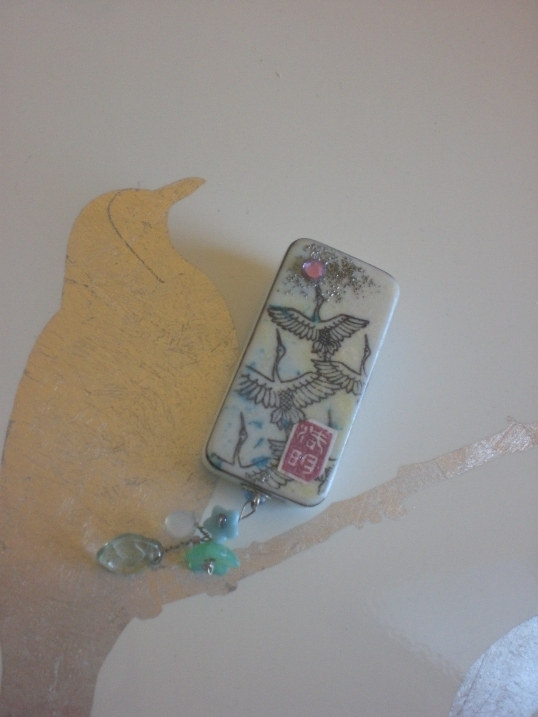 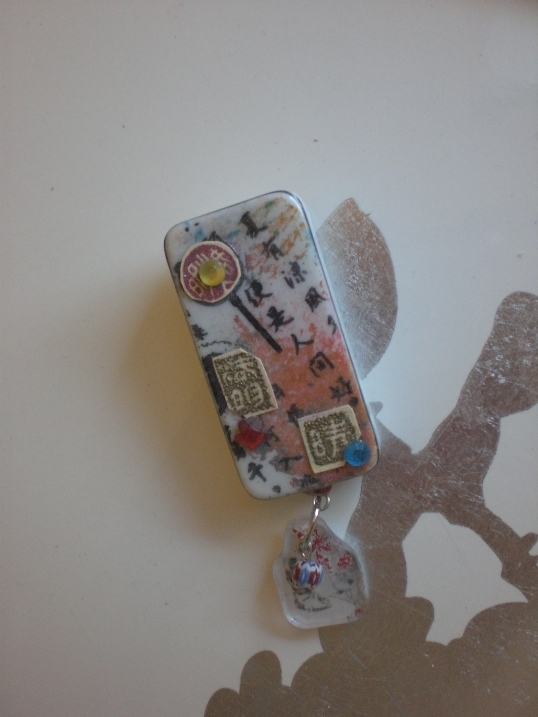 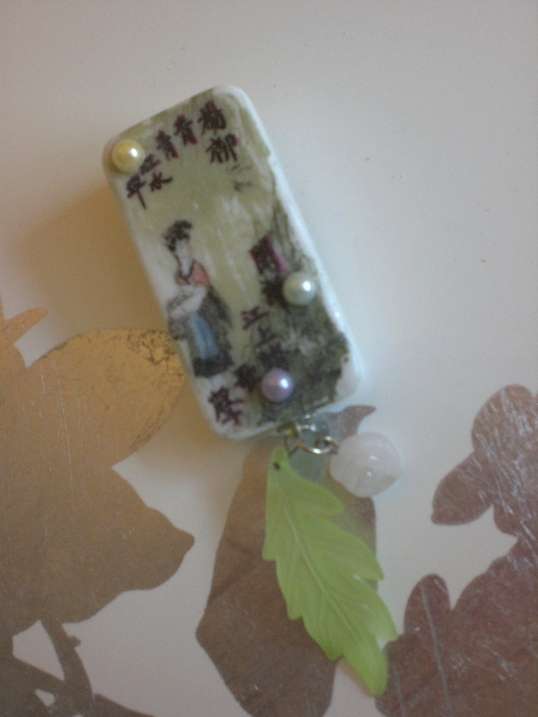 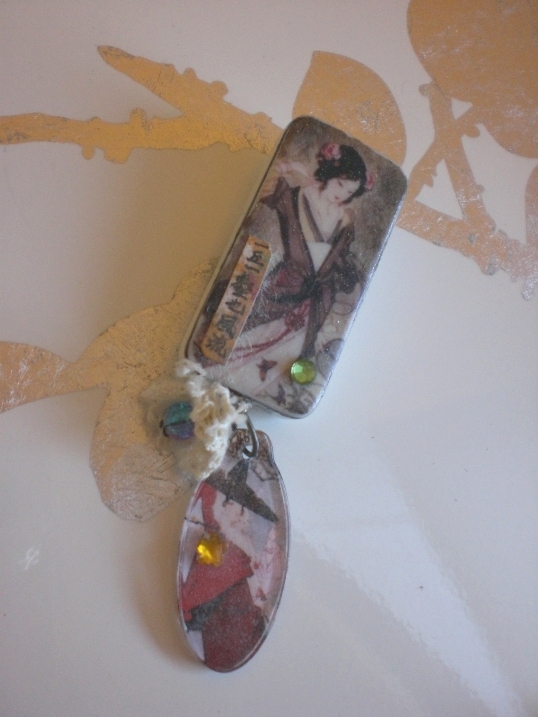 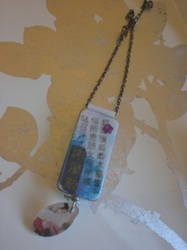 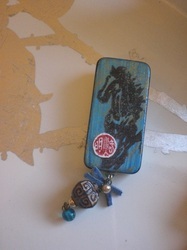 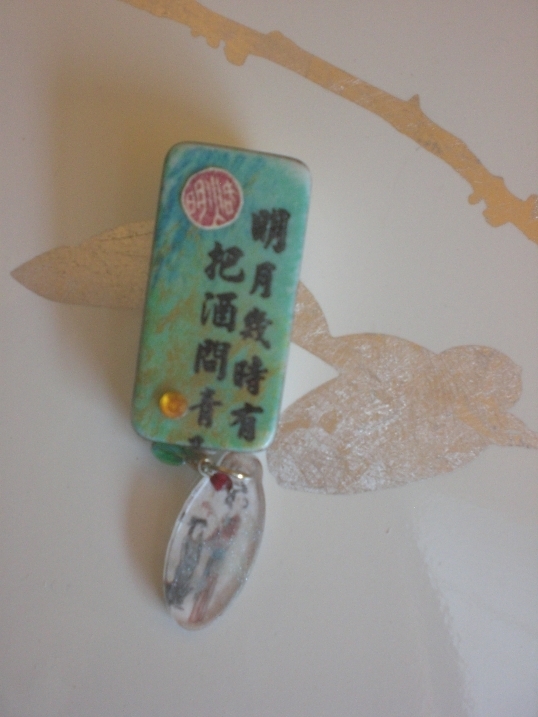 I also decoupaged bits and pieces on each piece. 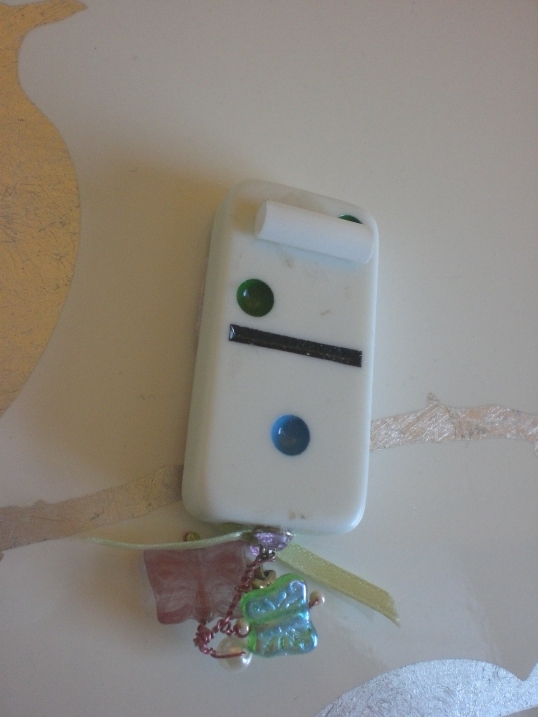 A segment of a straw was glued onto the back by E6000 glue so that a chain necklace can pass through.